Situated 2.6 km from Dormition of the Theotokos Cathedral and 3 km from Transfiguration Cathedral, E&F Apartment offers pet-friendly accommodation in Cluj-Napoca. E&F Apartment boasts views of the city and is 3.1 km from Bánffy Palace. Book your stay at E&F Apartment and get advice on accommodation options in Cluj-Napoca from Lonely Planet's independent on-the-ground travel writers. 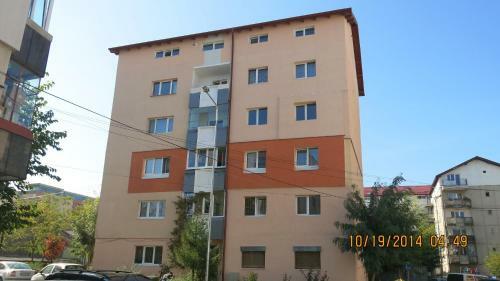 Hotel E&F Apartment in Cluj-Napoca - details: photos, hotel location on the map, services of the hotel E&F Apartment,room reservations without a fee.